For over 25 years the professionals of Mike’s Custom Flooring have been supplying commercial businesses and residential homes with premium hardwood flooring installation and refinishing services in the Eastern Panhandle of Berkeley and Jefferson Counties in West Virginia as well as Frederick, Loudoun and Fairfax Counties, Virginia areas. With our experience and expertise in conjunction with professional graded tools, equipment and products, our services are performed with superior quality. 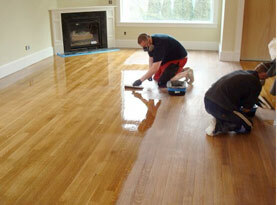 In our array of services we offer, nail down hardwood floors in their variety is offered to our valued customers. Solid hardwood and engineered wood can be installed in a variety of ways. Nailing it down is one method many folks prefer for their business or home and with Mike’s Custom Flooring administering the nail down technique, you can rest assured your floors are being expertly installed with the added security of nailing it in place. 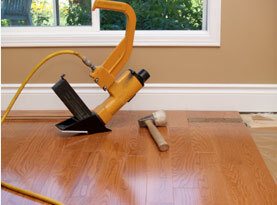 When this technique is requested, Mike’s Custom Flooring professionals will first perform an inspection on the surface of your floor to ensure the capability of it. Implementing the nail down method to install solid hardwood floors and in some cases engineered wood is fairly common in your home or business. Mike’s Custom Flooring is proud to offer the nail down method, as we perform this method of installation with methodical and meticulous strategy. •	Best if there is a wood subfloor. 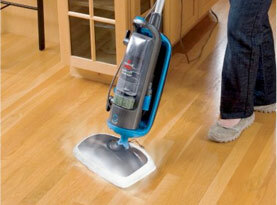 •	Solid or engineered hardwood floors can be nailed down. •	Minimizes the need for sanding. 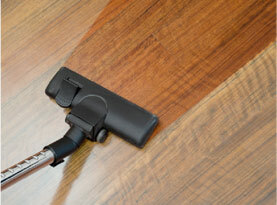 Especially where solid flooring is involved, using the nail down method to secure the floor is the most common. As we install the wood floor, the panels are nailed directly to the wood subfloor. Generally, the floor is blind nailed through a portion of the wood plank that protrudes from the board and snugly fits in the groove of the adjacent board. With this method, the nails are nearly invisible after the completion of installation. With a wood subfloor and the use of using the blind nailed system, installation is fairly fast, however, after it is installed, the wood floors can sound noisy. Solid hardwood floors can increase the value of your home and with proper and efficient installation with the use of nailing it down, your solid hardwood floors, and in some cases engineered hardwood floors can greatly improve your commercial business or residential home. If you desire to install hardwood floors allow the experts at Mike’s Custom Flooring to perform this service for a crisp and pristine finish. Call us today to schedule your appointment!